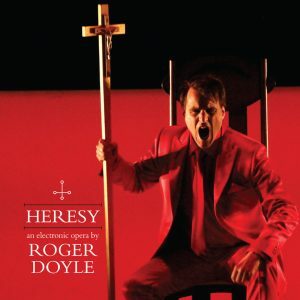 A remarkable remix and re-working of music from Doyle’s electronic opera, HERESY, based on the life and works of renaissance philosopher heretic Giordano Bruno. THE HERESY OSTRACA was created by Doyle as a sister album to his opera, HERESY. 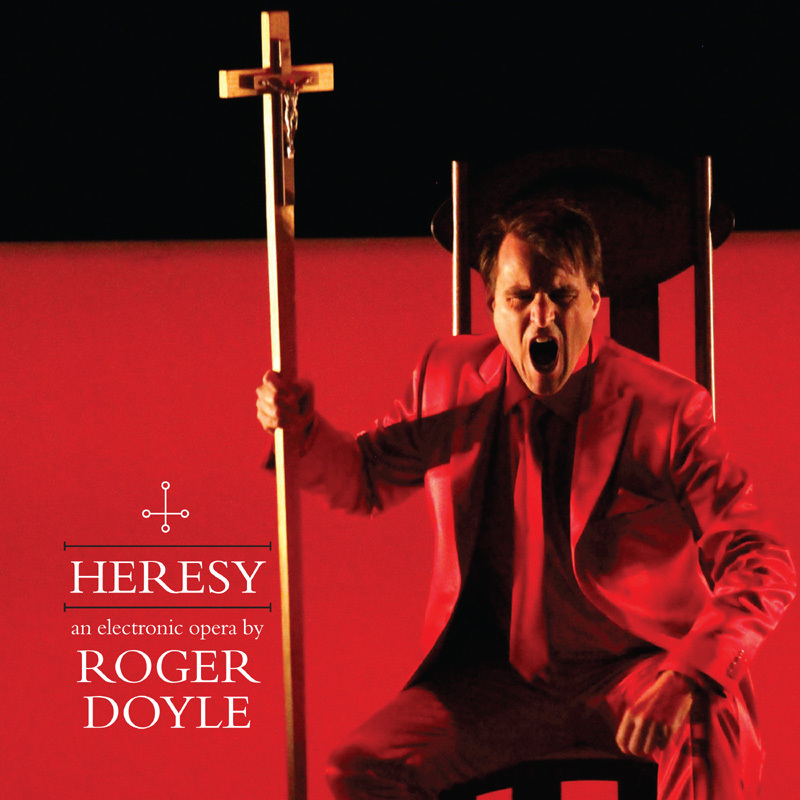 The composer selected audio files from the studio recording of HERESY which were then broken up and fragmented in software. These fragments were placed across a midi keyboard and played into sequencing software. New rhythms and harmonies were layered in, resulting in new and original pieces formed from this re-assemblage. An ostracon is a fragment of ancient pottery, usually from a broken vase, which has an inscription written upon it. The opera, HERESY, centers on the life and works of the 16th century genius Giordano Bruno who was burned at the stake for heresy after a nine-year long trial by the Vatican. Hermetic philosopher, priest, playwright, spy, cosmologist, intellectual celebrity and martyr for free speech, Bruno was one of the renaissance’s most original thinkers. He prefigured quantum physics by 350 years and promulgated a philosophy that espoused the idea that the universe had no center and was populated by an infinite number of inhabited planets. 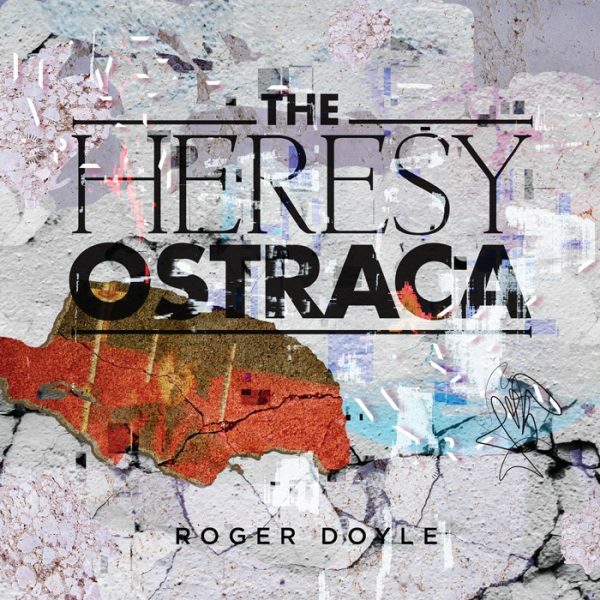 Ostracon voice samples on the album feature soprano Daire Halpin; male soprano Robert Crowe; mezzo soprano Caitríona O’Leary; tenor Morgan Crowley; boy soprano Alex Smith; counter tenor Iestyn Morris. 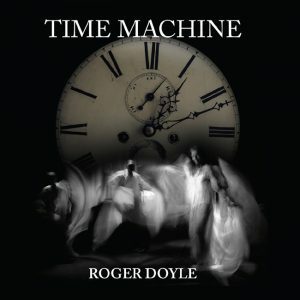 The track Ghost Playhouse features the voice of legendary Irish tenor, John McCormack. For anyone who dares to voice dangerous ideas and risk imprisonment or exile, Giordano Bruno remains a hero and a martyr for free speech and the right to challenge authority, dogma and orthodoxy. Giordano Bruno, named Filippo Bruno and called the Nolan, (born 1548, Nola, near Naples—burned at the stake February 17, 1600, Campo dei Fiori, Rome) was an Italian renaissance philosopher, priest, professor, playwright, spy and occultist whose theories anticipated modern science. For his championing of Copernicus and his cosmological speculations Johannes Kepler called him the “Defender of Infinity”. Amongst his forward-thinking ideas was a prefiguration of quantum theory, a belief in the existence of infinite inhabited planets revolving around infinite sun-like stars and that the universe had no center. His writings influenced works by Shakespeare, Molière and James Joyce for whom Bruno remained a lifelong hero.